After last week’s trip to the Big Bend area, this week, being spring break for my two girls, found me heading west again, this time with the whole family in tow, to the Guadalupe Mountains. These ancient mountains are a long way from my Texas Hill Country home -~ 8 hours – and if you’ve ever visited the Salt Basin on the southwest side of the park, you know what a remote area it is. After a forty mile drive from Hwy 54 around the south and west sides of the basin, including a 7 mile finish on a white clay road that is impassable when it rains we finally arrived… and saw nary another person en route. After this hour drive off the main road, we still had to cover another mile on foot (according to the park map). However, our total round trip was ~3.5 miles in a trail comprised primarily of very loose sand. At first the dunes don’t seem like much, but if you head to the right – up and over the steep scrub-filled sand slope -you’ll find a sea of white amazing sand. As you traverse the dunes, avoid any vegetation as this is an ecologically sensitive area. From the tops of the dunes, the views of the Guadalupe Mountains, including the iconic El Capitan and the tallest peak in Texas – Guadalupe Peak -were amazing. 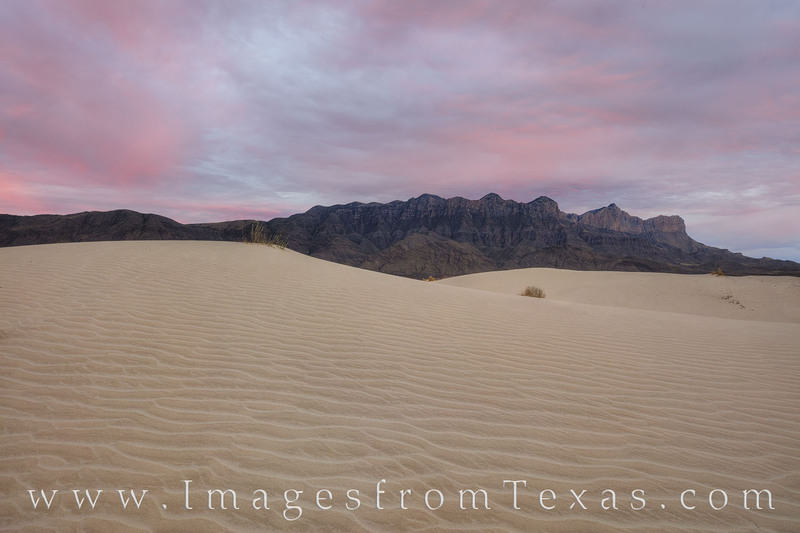 Like saves of sand, the textures and curves of the salt basin dunes on the southeast side of the Guadalupe Mountains make a stunning foreground for these ancient mountains. In this image, the mountains rise in the spring air as the sun sets in the opposite sky. Guadalupe Peak, the tallest point in Texas, rises 8,751’, and the iconic El Capitan is just south of the summit. To reach these dunes requires a bit of an effort. A 50 mile drive around the park from the Pine Spring Visitor Center, including 7.5 miles on a caliche road that is impassable after a rain, brings you to the trailhead. After that, a dirt and sandy path leads another 1.5 miles to the dunes (the park maps says 1 mile, but it is longer). The round trip hike on this evening was just under 3.5 miles – all worth the amazing scenery in this national park. After some time exploring the dunes and having the sand all to ourselves, the sun settled in the east behind us and we raced the 1.5 miles back to the car to avoid being locked in the park overnight (the gates are locked 30 minutes after sunset). I’m not sure how strict the park service is on this rule, but I did not want to take a chance on sleeping in the car – in the remote Chihuahuan Desert – with three angry females. We made it out safely, then drove the 2.5 hours to Artesia, New Mexico, for the night. Later, at the International UFO Museum, we enjoyed life sized aliens and plenty of affidavits from important people concerning the reality of aliens and the alleged government coverup. The small presentation was surprisingly well done, and my girls were sufficiently freaked out by the aliens but still had a good time. 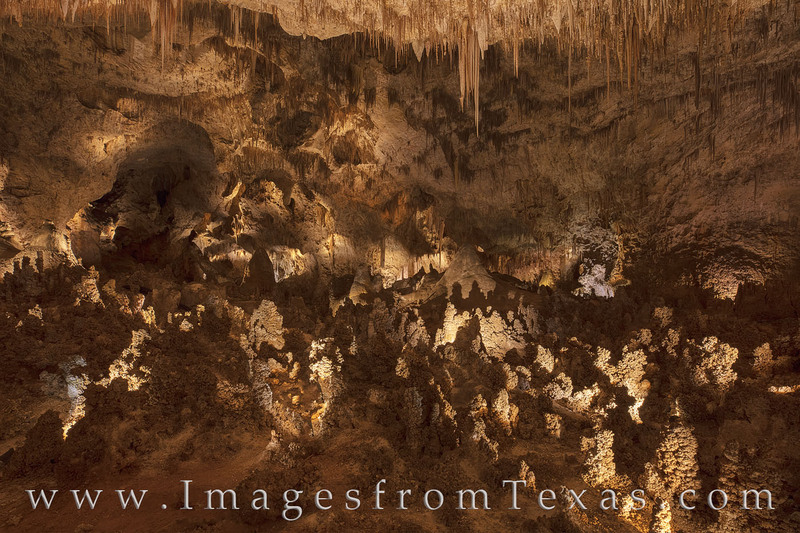 Heading back south and just north of the the Texas border is Carlsbad Caverns, our next stop on the trip. The caverns were amazing and the rock formations nothing like I’ve seen before. We took the self-guided tour that led us through the dark underground and along the 1.25 mile trail and the Big Room. If I was a spelunker or geologist, I imagine I’d have been in heaven. But I prefer above ground landscapes. As we left, we noticed the large crowds and lines already gathered for entrance. We had arrived early and were glad we did. The crowds were thick as we left, which would have detracted from the quiet spaces of our walk. Next, we headed south through Van Horn and onto Fort Stockton. First, though, we stopped at a place to eat. Many years ago I watched Chet Garner, host of the DayTripper, eat at Chuys, a Tex-mex joint in Van Horn – NOT affiliated with the well-known Tex-mex chain. I’d wanted to eat here for a while, so we stopped in. I’m sad to say our experience was not good. So be warned… the service was terrible. The guy serving us seemed uninterested in working. Please know we are very low-maintenance. After a 20 minute wait just to take our order, we waited another 30 for the meals. My wife and two girls finally received their food, then the waiter asked if I had ordered the fajitas. Yes… and 20 minutes later my wife and kids had finished their food before mine arrived! But no explanation nor apologies were offered. To top off the experience, the beef was full of fat and very chewy -the worst fajitas I’ve ever had. We paid and got the heck out of there…never again. 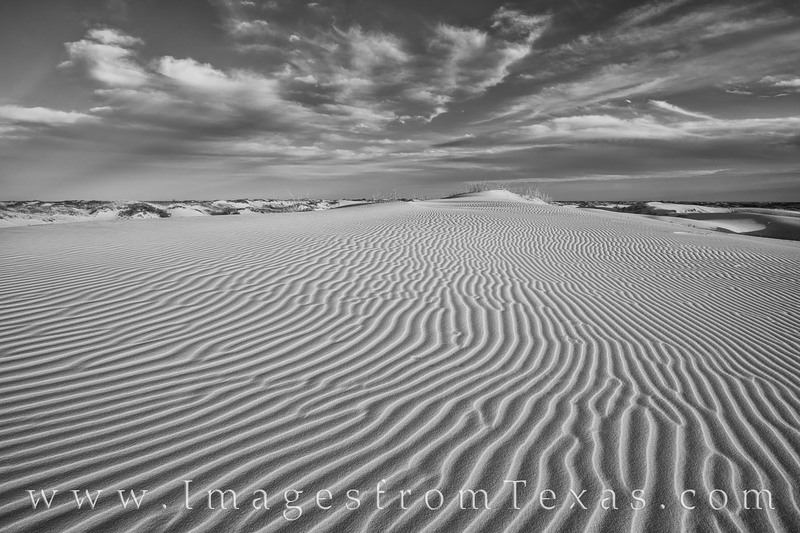 The lines in the sand at Monahans Sandhills State Park can be mesmorizing. Here in the late afternoon, soft shadows enhance the curves and texture as the winds create ever changing patterns. We arrived a few hours before dusk, and my girls immediately took off, heading to the tallest dune, then sliding down and laughing the entire time. It was a good way to end our trip – sunset was beautiful, everyone was happy at the same time (which is rare), and laughter filled the still air as we traversed the sand back to the parking lot. It was hometime the next morning, and I always become a bit sentimental when family time ends. I know my kids won’t stay young, and I value each day I have with them. 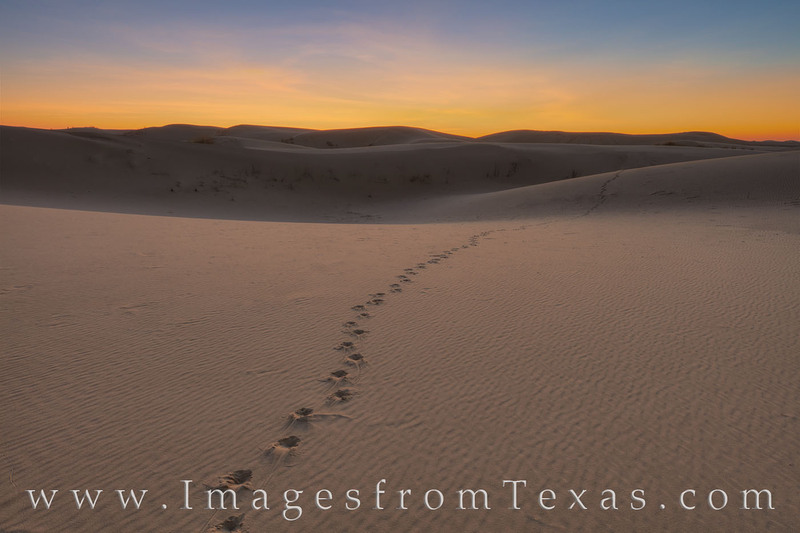 Posted in Texas Landscape Images, Texas National Parks and tagged guadalupe mountains, monahans, salt basin, salt dunes, sand dunes, sandhills, state park, texas parks on March 16, 2018 March 24, 2018 by Rob Greebon. West Texas called, and when I picked up my girls from school on that Thursday afternoon and my eldest daughter decided she wanted to go with my wife and I, we hurriedly packed her bags while my folks came to watch our youngest. And we were off. I often feel like Chevy Chase trying to keep the family happy on trips, but this would be a different dynamic with just one kiddo along. I stressed to my oldest that this was a work trip. No whining or complaining about early mornings or late evenings was allowed. So we headed out, and our first stop was Monahans Sandhills State Park, a 3,000+ acre park full of rolling sand dunes. However, this time I’d go alone at sunrise. The dunes were pristine and the sunrise beautiful. I never saw another person that morning as I slipped across the dunes, angling for the best views of sand, sun, and sky. With soft clouds overhead, the sun shows its colors as it rises across Sandhills State Park. The sand dunes in this amazing and unique little park are fun to play on, but they have a special beautiful at sunrise and sunset when all is peaceful and quiet. Close to Monahans, Texas, and right off I-20, this makes a great side-trip if you are in the area. The park is small in comparison to the size of the dunes. The sand stretches on and off for 70 miles. Small critters roam the dunes – rabbits and mice – and bands of Sandhills coyotes keep their numbers regulated. The image below shows the tracks of one of those critters before sunrise. Tracks across the sand, perhaps from a Sandhills coyote, lead into the eastern sky where sunrise awaits. At times like this when all is quiet and the sun is rising, the land appears beautiful and perfect. 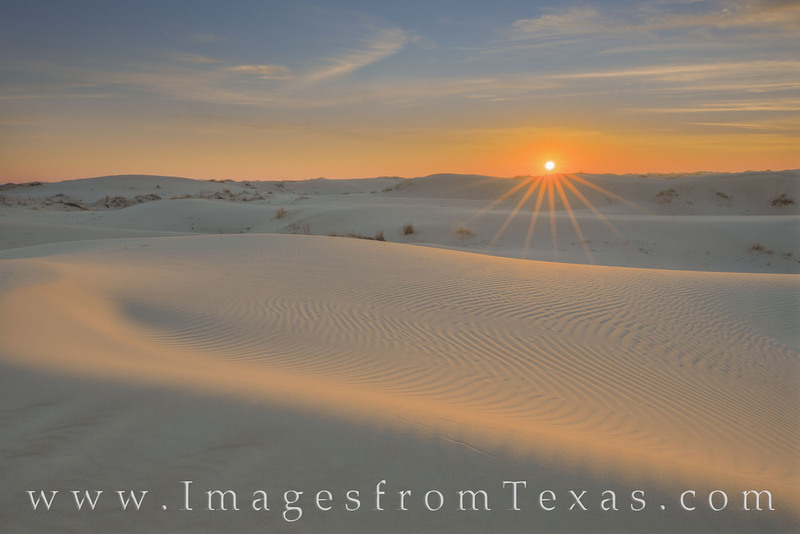 The sand dunes in this image come from Sandhills State Park near Monahans, Texas. Soon I was heading back to the hotel to pick up my posse and we were off to Big Bend Ranch State Park, the little brother to the national park. We wanted to drive the river road that stretches from Presidio to Lajitas. This area is remote and rugged. We made a few stops along the way – one at the Hoodoo trail and another at Closed Canyon, a small slot Canyon that rises 100 feet above the trail below. After a previous trip to slot canyons in Palo Duro Canyon, it was interesting to see the differences in rock formations and textures between the two canyons. Palo Duro’s canyons we’re smooth sandstone. The slot of Closed Canyon was formed by a stream as it cut through the Santana Tuff of the Colorado Mesa before pouring off into the Rio Grande. Closed Canyon sits just off FM 170 in Big Bend Ranch Stare Park. The hike through this slot canyon is easy, following a sandy and sometimes rocky trail for only .7 miles. High above, the walls of this canyon in the Colorado Mesa have been cut by water into the tuff over millions of years. The sun rarely reaches the canyon floor, and even in the heat of the summer the shade of the canyon offers a respite from the west Texas sun. Later in the afternoon we had a late lunch at the High Sierra Bar and Grill in the ghost town of Terlingua. A friend had made this recommendation but warned us the staff works at a slower pace. Sure enough, we waited a long time for our food. The waiter, a young guy recently transplanted from Alaska, apologized several times for the slow service,saying they were really busy. A quick look around showed only two of the 8 or so tables taken. One older couple offered to buy drinks for everyone – they were celebrating their first night out after selling their house, buying an RV, and hitting the open road. They were drunk and happy. The national park was next, and for sunrise I found myself hiking up a small unmarked mesa to shoot the morning light as it backlit the Chisos Mountains directly in front of me. With a few high clouds that quickly dissipated, the morning was nice. For this image I tried to capture the rugged feel of the Chihuahuan Desert floor with the beauty of the mountains in the distance. 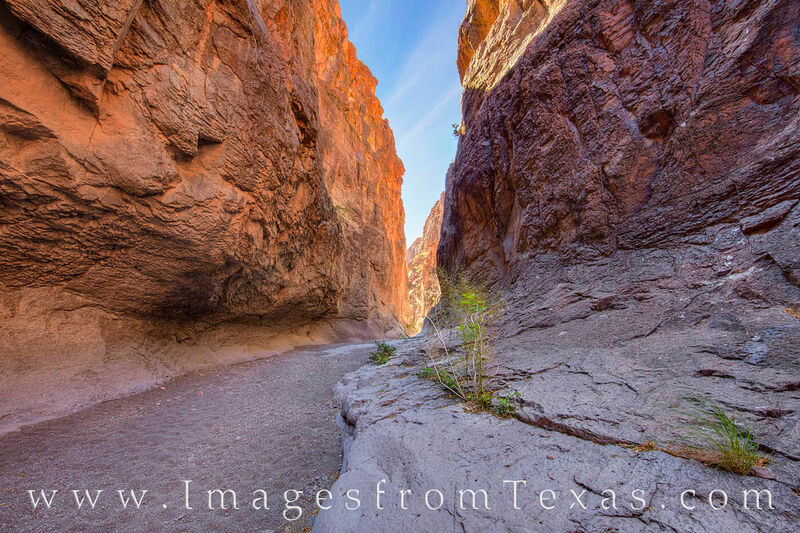 The rugged Chihuahuan Desert stretched across the western slopes of the Chisos Mountains in Big Bend National Park. Taken at sunrise, these mountains rise in the arid desert and contain their unique ecosystem as they reach nearly 8,000′. Lunch at the Chisos Lodge was followed by an easy hike to Balanced Rock, then back to prepared for the evening adventure. I wanted to go off road again, this time parking along the highway and walking out on the Tornillo Flats to some distant hoodoos. My daughter loved the adventure and rock scrambling that we did. Finding our way across the flat desert to the rock formations was exciting, and the clouds and sun did not let us down. A little after sunset, the sky lit up in reds, oranges, and blues. 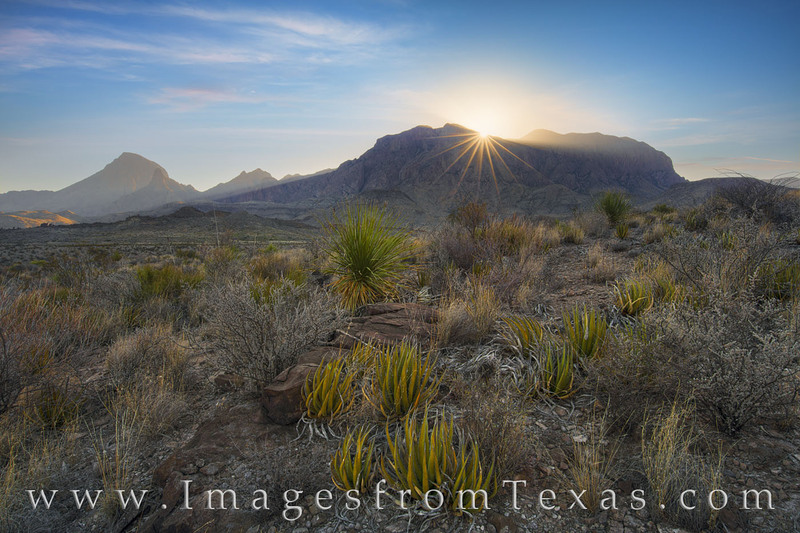 The Tornillo Flats rest in the Big Bend National Park area just north of the Chisos Mountains. Off the main road, a short hike across the barren Chihuahuan Desert, several hoodoos and other unique rock formations rise from the sandy floor to create an otherworldly scene. 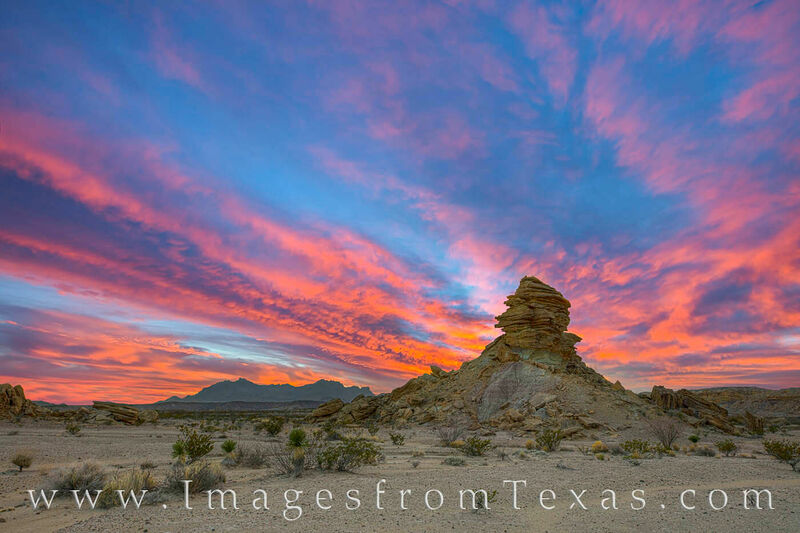 In this image, a hoodoo is seen at sunset with the Chisos Mountains in the distance. Overhead, the sky turns pink, orange, and blue on a beautiful spring sunset. After taking in the moment with the hoodoos in front of us and the Chisos in the distance, we headed quietly turned and made our way back to the highway. I know times like this are fleeting, and I try to savor the moments. Next up -a return to west Texas, this time with the whole family. Posted in Big Bend National Park and tagged big bend, big bend ranch, chisos mountains, closed canyon, monahands sandhills state park, monahans, sand dunes, sandhills, texas travels, tornillo flats on March 15, 2018 by Rob Greebon.